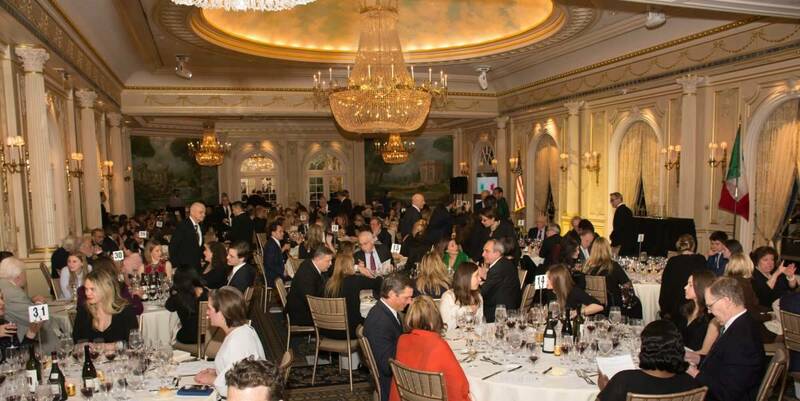 The Italian Wine & Food Institute in New York is a non-profit organization founded in 1983 to support and celebrate the excellence of Italian wines and gastronomy in the US. 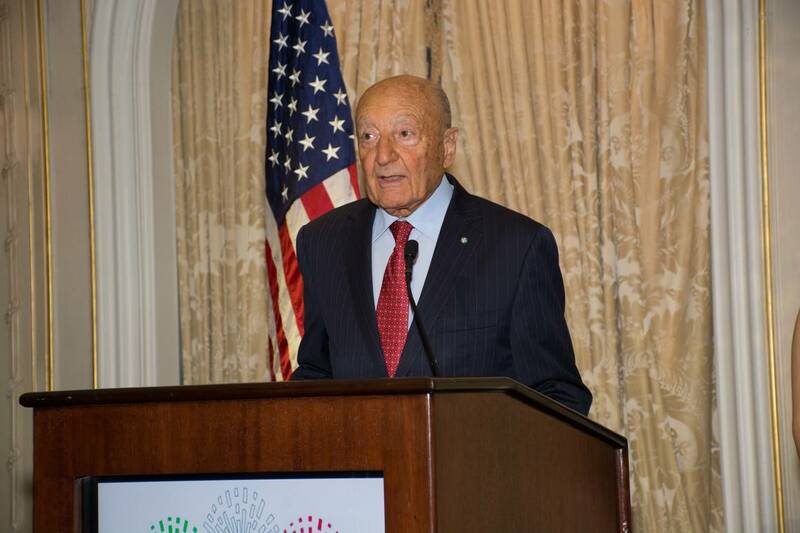 Since 1985, the Institute has been organizing the Gala Italia continues to be the most prestigious event for Italian culture. The highly-anticipated 33rd edition confirmed the exceptional and impeccable style of the event from the location to the top class hospitality. 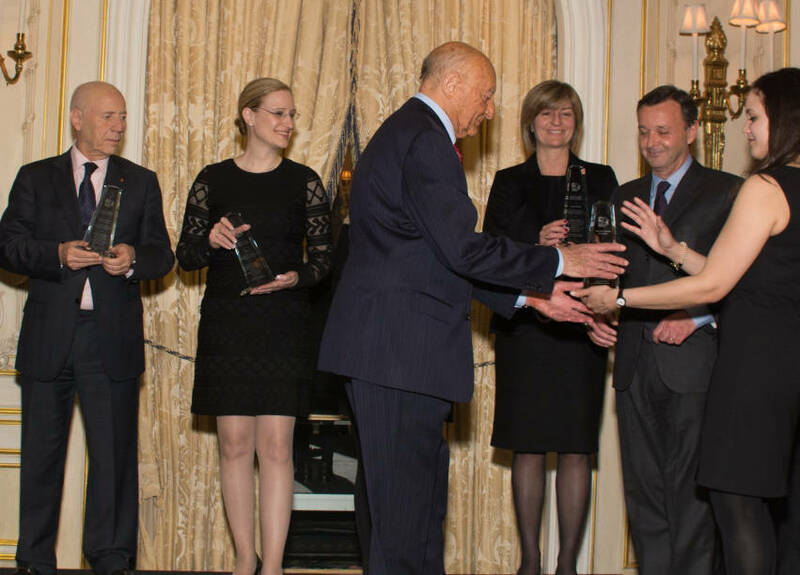 The relevance of the Institution and of the Gala was also underlined by a note sent directly from Bill de Blasio, Mayor of New York. “New York is renowned as a city built by immigrants from around the world, and the remarkable multiculturalism of the five boroughs is reflected in our diverse and dynamic restaurant scene. IWFI id guided by its mission to educate American consumers about the many high-quality wines and food products that boast the “Made in Italy” stamp. 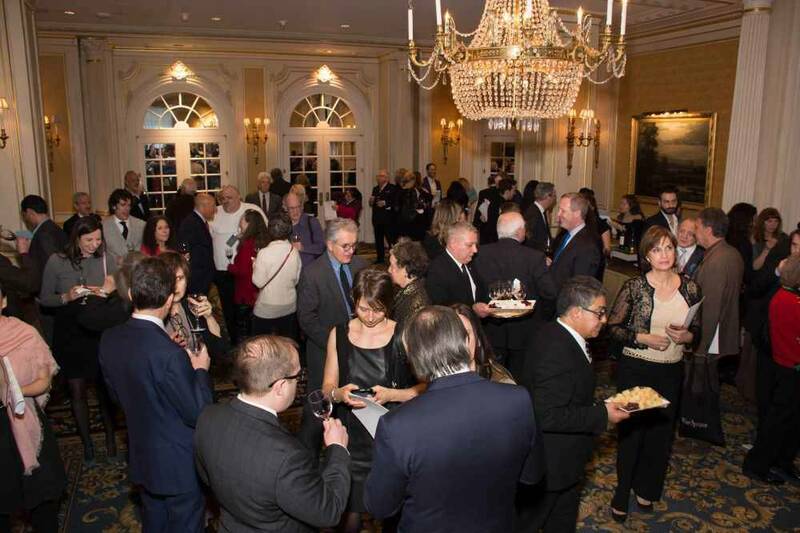 Its annual Gala brings together the top vintners and producers from across Italy to offer tastings and share their rich gastronomic traditions with food and beverage industry professionals from New York and beyond.” Reads an excert from the Mayor’s note. Guests had the chance to immediately warm up savoring the exquisite wines that were presented and later awarded during the event. 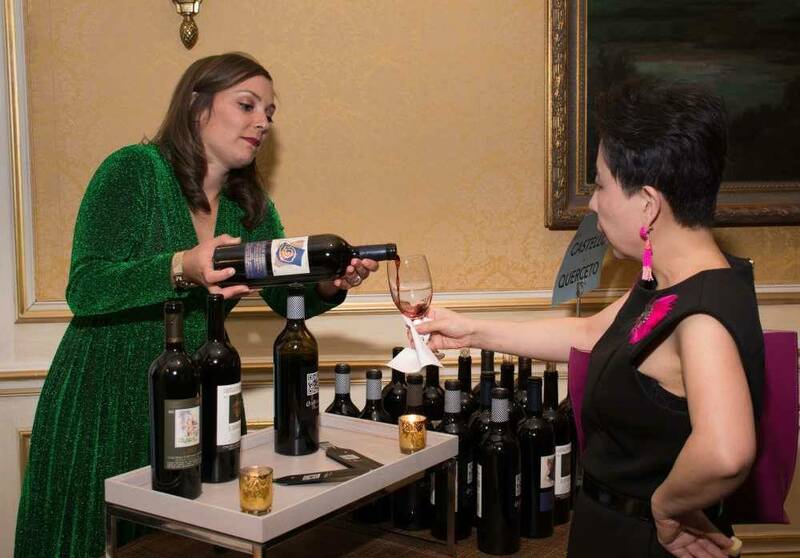 The Wine Tasting in the Petit Salon of the Essex included Antinori, Villa Antinori Chianti Classico Riserva 2013 – Bertani, Pinot Grigio 2016 – Castello di Querceto, IGT Il Sole di Alessandro 2009 – Fontanafredda, Gavi di Gavi 2016 – Lungarotti, Montefalco Sagrantino DOCG 2010 – Planeta, La Segreta Il Bianco 2016 – Rocca delle Macie, Moonlite 2016 – Sella e Mosca, La Cala Vermentino DOC 2016 and Villa Marcello, Prosecco 2015. These Italian wines have already reached celebrity status having been nominated at the UN Security Council last November during the Italian Presidency. The tasting then continued in an even fancier way. Guests were invited to a chic dinner held at the Grand Ballroom where they had the chance to appreciate the wines paired with a high-quality menu conceived by Executive Chef Andrew Burriesci. It was a real tour of Italian wineries in a single meal with the wines presented: the Marchesi Antinori, Tenuta Guado al Tasso Vermentino 2016; the Planeta, Santa Cecilia, Noto DOC 2010; the Col d’Orcia, Brunello di Montalcino DOCG 2013; the Travaglini, Gattinara Riserva DOCG 2011; the Lungarotti, Torgiano Rosso Vigna Monticchio, Rubesco Riserva DOCG 2009; the Sella e Mosca, Marchese di Villamarina DOC 2010 and the Castello di Querceto, IGT la Corte 2007. 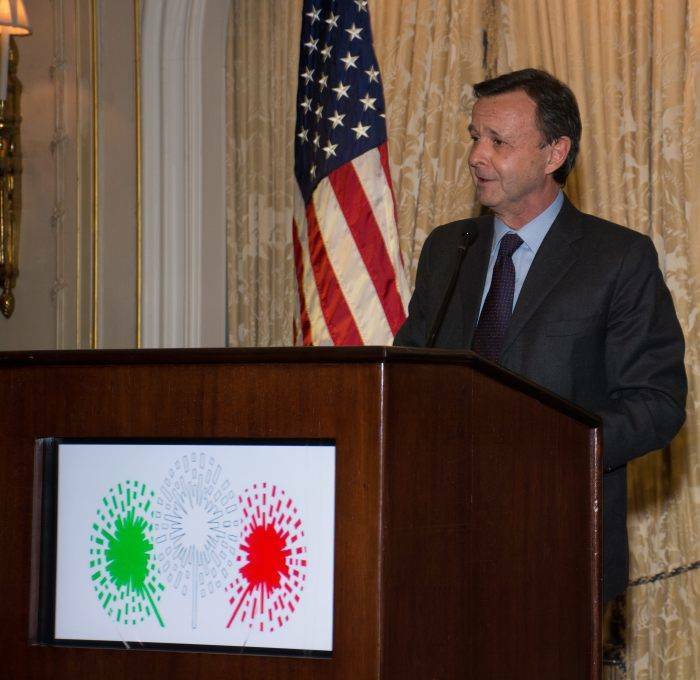 After the delicious dinner, Dr. Lucio Caputo, President of IWFI but also of the International Trade Center of New York and GEI – Gruppo Esponenti Italiani (Group of Italian Representatives); took the stage to present Wine Leader Awards given to the wineries protagonists of the night. Ambassador Cardi received the congratulations for his work from all the representatives of the wineries before being awarded with the Italian Wine & Food Institute Special Award of merit in recognition of his constant contribution to the Italian wine industry. The Ambassador presented a selection of great Italian wines to the members of the UN Security Council, an unprecedented occasion. Caputo then presented another acknowledgement, the Italian Wine & Food Institute Special Award to the Italian Trade Commissioner, Maurizio Forte. 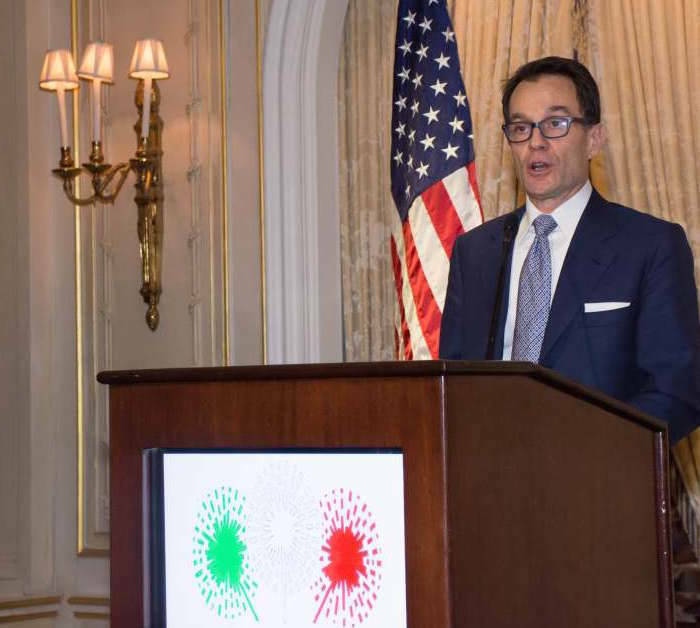 The award praises the significant job the Forte and the Italian Trade Agency is doing with their promotional campaign, Italian Wine - Taste the Passion, in favor of Italian wines that will be conducted in the US in 2018-2020.